Holiday Stovetop Simmer: A Perfect Homemade Blend | Get the recipe to make this delicious smelling simmering blend for your holiday festivities in this post. Hello friends! Welcome as I share our favorite Holiday Stovetop Simmer. It’s a perfect homemade blend for creating a warm and cozy atmosphere during your holiday entertaining. Can you believe we are using words like Holiday and Christmas already? It’s hard to believe it’s that time, but here we are! Do you love the fragrant smell of citrus, cinnamon, and cloves? I do! This homemade blend is a wonderful smelling combination of just a few ingredients. Bring to a simmer and simmer over low heat as long as desired. Be sure to watch the water level as evaporation will occur. Add water as the water level gets low. Give this a try and enjoy the aroma in the background as you prepare for the upcoming holidays. And then, make it again to enjoy during the holidays. Your house will smell amazing! Hi Kim, I can already imagine how wonderful my house will smell after making your stovetop holiday simmer. This will put everyone in a happy mood during the holidays! 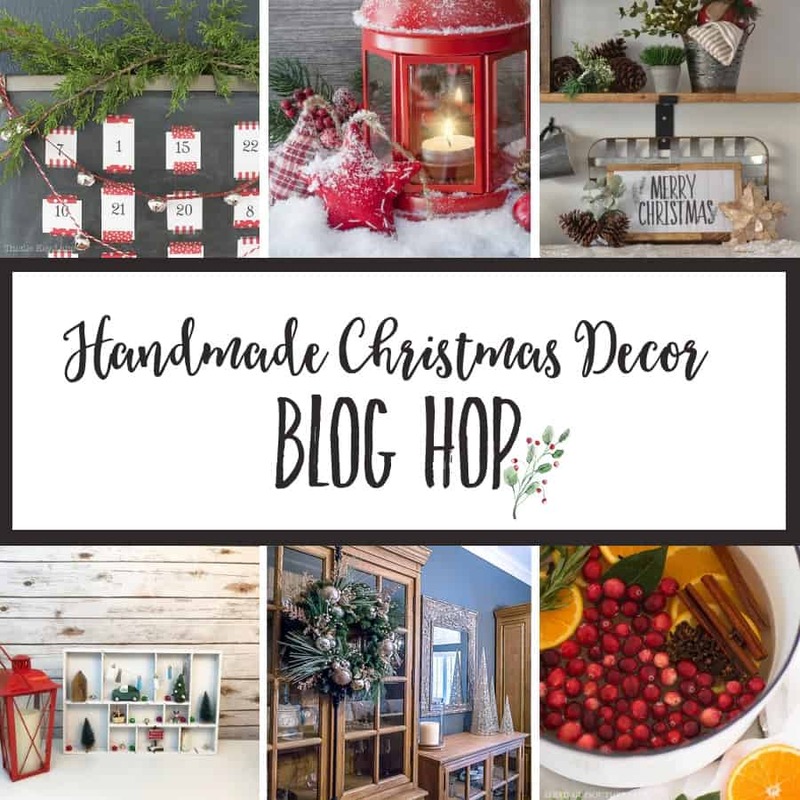 Great being on the blog hop with you! Thanks, Michelle! I really think you will love it. Great being on the hop with you too! Love this recipe for a stove-top simmer! And your photos are wonderful! Your photos are really beautiful and make me want to get my Dutch oven going right now! I’m a fan of all of your recipes, Kim. I hopped over to your white peppermint hot chocolate post, too. Now I’m hungry. 😂 It’s fun to blog hop with you today! This looks amazing! And I’m sure it smells even better. Going to collect the ingredients for this one for sure. Thanks, Joyce! I’m pretty sure you will love it! Thanks for stopping by! Absolutely love your photos, Kim, so vibrant and vivid I can almost smell the orange slices. I get so incredibly dry up here that I often have one on the stove just to add some extra humidity to the air and it’s always nice to toss in a few aromatics at the same time. I’ll be giving this one a go since it touches on all my favorite scents! This looks amazing!! I am all about Christmas smells 😍 Would love to try this!! I bet this smells so good! The photos are so beautiful!! I can almost smell this through the screen! This looks so pretty and I can only imagine how it scents your home for the season. Kim, I bet your house smells heavenly! There is nothing better than walking into a home that smells all the good smells! Pinned! Maureen, it does smell good when I have this simmering! I’ve done several batches already during this season too. Thanks for pinning! This looks amazing and I’m sure it smells that way too! Definitely trying this, thanks for sharing! Pinning! Thanks, Roxanne! It does smell amazing… I hope you love it too! And, thank you for pinning!